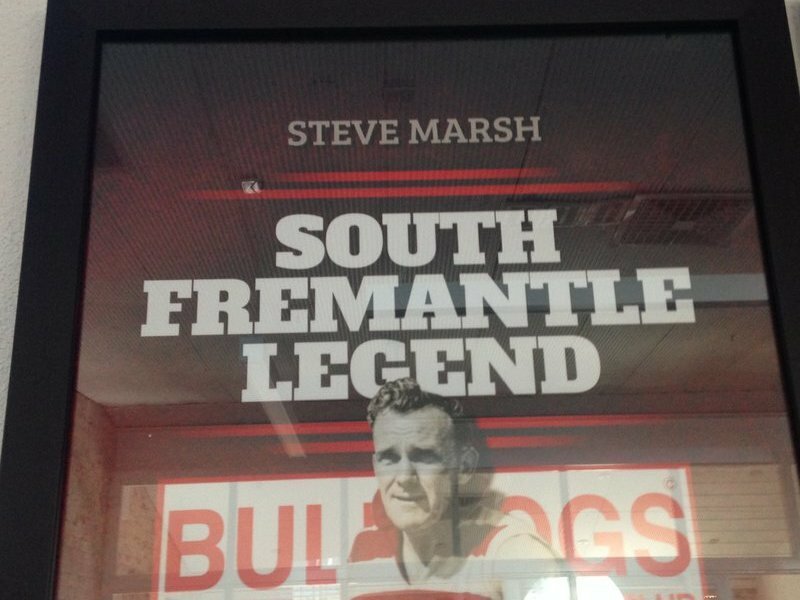 Iconic legend of the South Fremantle Football Club Steve Marsh was honoured in 2016 with this legend piece honouring the career of a true Bulldog great. This product is made to order This product must be picked up from South Fremantle Office at Fremantle Oval. 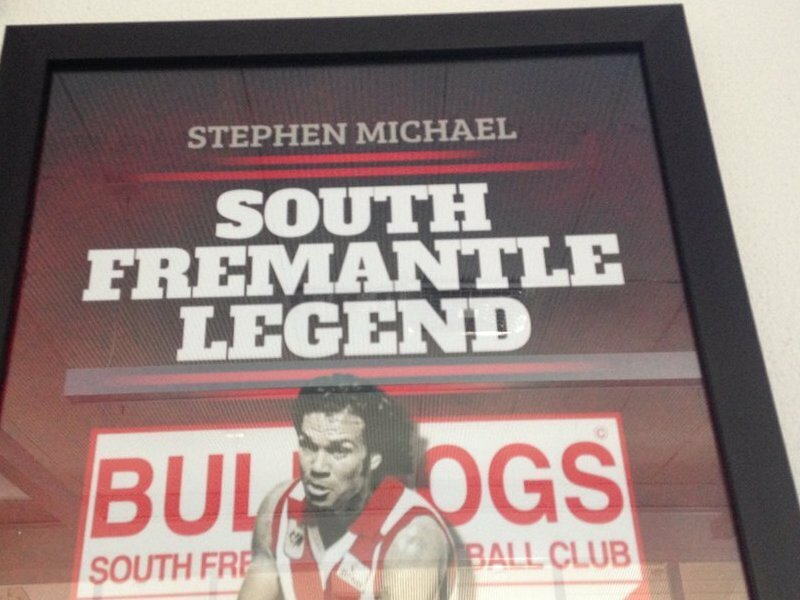 Honoured in 2015, Stephen Michael was the first to be immortalised in the South Fremantle Legend Series. Pays tribute to all his achievements as a truly great Bulldog. This product is made to order. This item must be picked up from South Fremantle Office at Fremantle Oval. 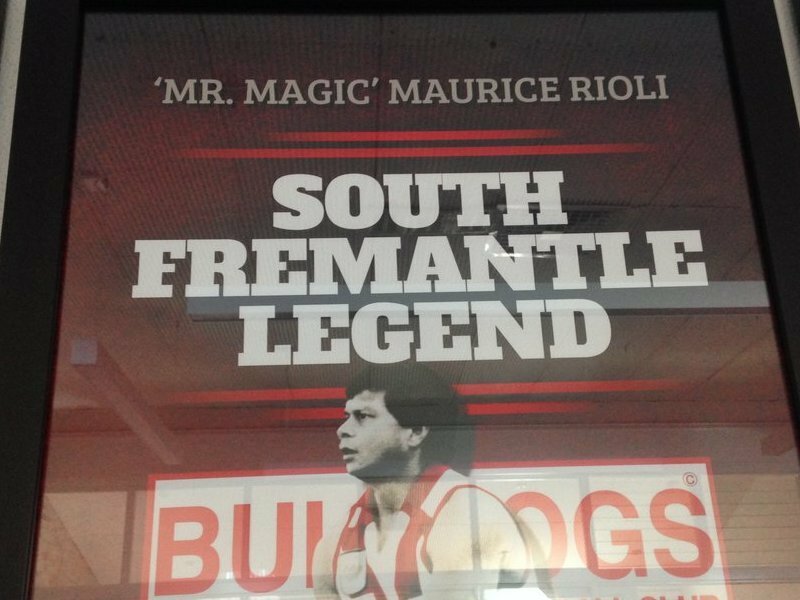 Iconic legend of the South Fremantle Football Club Maurice Rioli was honoured in 2016 with this legend piece honouring the career of a true Bulldog great. Rioli was inducted to the AFL Hall of Fame in 2016 and this is a must have piece for fans of the South Fremantle legend. 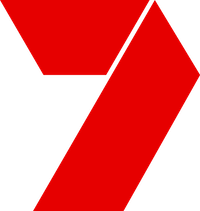 This product is made to order This product must be picked up from South Fremantle Office at Fremantle Oval. 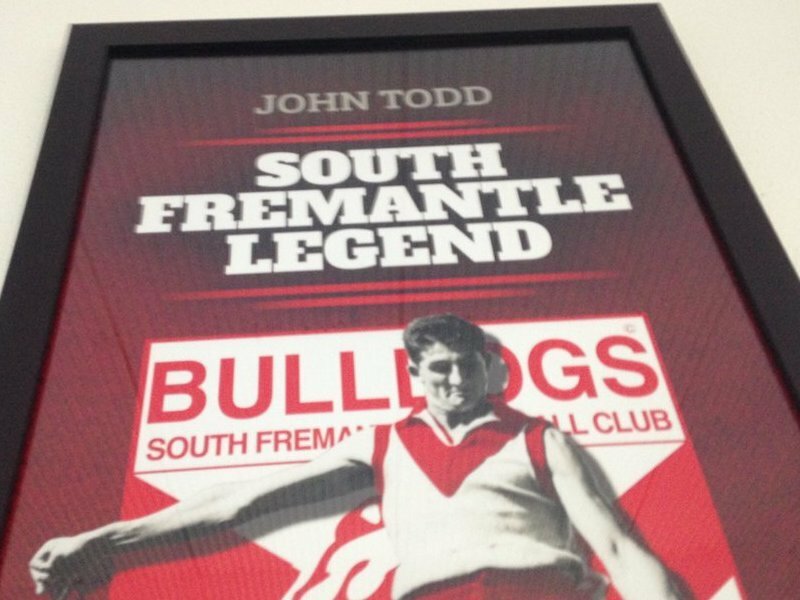 Iconic legend of the South Fremantle Football Club John Todd was honoured in 2016 with this legend piece honouring the career of the great Bulldog player and coach. This product is made to order This product must be picked up from South Fremantle Office at Fremantle Oval.